In the last two week weeks, Rimbey RCMP responded to 71 calls for service. These calls include, but are not limited to: 12 suspicious person or vehicle complaints; ten break and enter files; two report of fraud; and one report of indecent exposure. On January 19, Rimbey RCMP responded to a home invasion call. Three male suspects approached the complainant’s home and kicked in the door. The suspects took a television from inside the home and escaped through a window. Investigation revealed that the subjects were known to each other and motivation for the invasion was to settle a debt. Officers attended the scene and were able to arrest one suspect and identify a second. The arrested suspect was charged and is to appear in Rimbey court at a later date. Rimbey RCMP, with assistance from Sylvan Lake RCMP and Police Dog Services, responded to an armed robbery at the Rimbey Liquor Store on January 19. The suspect entered the business, presented what is believed to be a handgun, and demanded cash. Thankfully no one was injured but the incident is still under investigation. The suspect is believed to be a male with brown eyes and black skin, approximately 5’10” tall and wearing a dark hoodie, grey pants, white gloves, and was carrying a green or grey bag. Though RCMP are an excellent community resource, at times some people expect the long arm of the law to over extend itself. On January 25, RCMP were contacted in regards to a custody dispute – a dispute that may have been the result of a simple miscommunication. 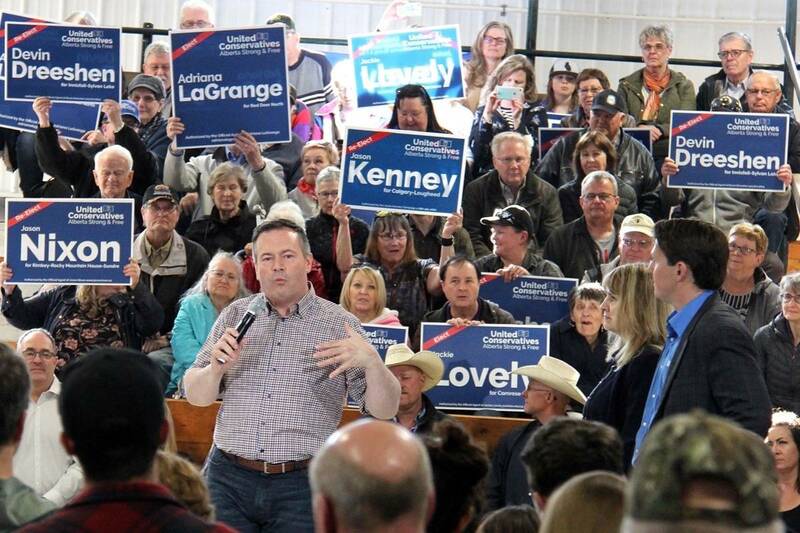 Police involvement in this case was not entirely necessary and serves as an example of when RCMP are used incorrectly as a threat so one party can reach a favourable outcome. On January 27, RCMP responded to a fraud complaint. The complainant was attempting to purchase a puppy through a website, but after they paid the alleged seller, the dog never arrived. When questioned, the seller began demanding additional payments. It quickly became clear to RCMP that this was fraudulent activity. RCMP would like to remind people to be cautious when conducting business online. Always inspect websites thoroughly to make sure that they don’t contain grammatical errors or spelling mistakes – a sure sign of a fraudulent website. When shopping online, use a credit card rather than money services. Customers who shop with credit cards are offered better protection. Beware of sellers from overseas who encourage you to purchase items sight unseen. If you think that you have been a victim of fraud, contact your local RCMP detachment or the Canadian Anti-Fraud Centre. On a more exciting note, Rimbey Victim Services would like to remind everyone of the annual Valentine’s Gala happening on February 9. Tickets are going fast, so if you have yet to get yours, give the Rimbey VSU office a call at 403-843-8494. Crime Stoppers is a community program that works! Do your part and call now.